5 years ago I founded my own company Freexian SARL with the goal to make a living out of my free software experience. 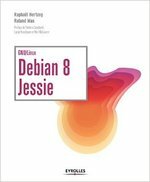 I marketed the company as being specialized on the Debian distribution in the hope to combine my Debian work and my professional work. Given that Freexian is still alive I think I met the first goal. My free software experience allowed me to complete many projects: a large number of development projects for embedded devices running a custom Linux distribution (usually built with debian udebs), the development of a Debian derivative (SLIS) and some recurring tasks of remote system administration. However, even if I use Debian daily for all my work, very few of the projects that I complete for customers have direct results in terms of improvements for Debian (except some bugreports and some related fixes). And even when I’m able to contribute something back to Debian, it’s usually not in areas that I care about. My focus within Debian is on the technical and organizational infrastructure of the project: as a dpkg/dpkg-dev maintainer I try to improve the packaging infrastructure, as a QA member I maintain the Package Tracking System to ease collaboration, as an Alioth admin I ensure all DD can host VCS repositories for their Debian related projects, as a developers-reference co-maintainer I try to share good packaging practices, etc. Given this bias, it’s difficult to find customer projects that would let me contribute in those areas. Thus I think I need to try another approach: the simplest solution would be to find sponsors for some of my own Debian-related projects (if you have something else to suggest, please leave a comment — either in the blog or by mail). That said finding sponsors looks like a difficult task in itself. While I can imagine (for example) a company using Debian on embedded devices that would like to sponsor the rewrite of update-alternatives in C in order to get rid of the perl dependency in the dpkg package (if you know such a company, get in touch with me! ), I don’t see who would have an interest in sponsoring the time that I need to contribute new sections to the developers-reference manual. But who knows… maybe I should just try and publicly solicit sponsorship for some of the projects that I care about. In any case, suggestions and comments are welcome!